We have two priorities when it comes to beginning students and their supplies. This is the book we use. It is readily available at any of the local band stores. AVOID online orders, as they HAVE taken weeks or over a month to arrive, and have, at times, been the WRONG EDITION. Jones "red-wrap" beginner reeds, "Medium-Soft." I'd get 3 or 4, to start with. An empty WATER-TIGHT prescription bottle for soaking the reed. Beginner reeds. I'd get a few "Medium-Soft," reeds to start with. One box of TEN clarinet reeds, 2 1/2 strength. For BEGINNERS, we suggest that they use D'Addario, VanDoran, and Mitchell Lurie. Most beginners at Meyzeek play on the #2 1/2 Van Doran in the dark blue box. Mouthpiece "patch," "guard," or "protector." I prefer the thicker, black ones, as opposed to the thinner clear patches. Mouthpiece with Ligature (See note to the right.) Yamaha 4C is recommended for soprano clarinet. One box of TEN reeds. Most beginners at Meyzeek play on the #2 1/2 Van Doran in the dark blue box. Avoid the cheapest...get one with padding. Also, be sure that it is the appropriate length for tenor or bari sax, as they need to be longer. Bari players might also consider looking online for a harness, rather than a neckstrap. IMPROVE THE STUDENT'S TONE AND PITCH!! 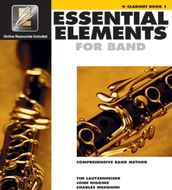 EE Book 1 for BASS CLEFF, NOT treble!! There are, literally, THOUSANDS of different mallets on the market. 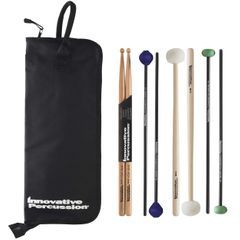 We want all of our percussionists to experience how each have unique sound "timbres," but we don't want them to break the bank in doing so. Here is our solution. Each student needs TWO pairs of mallets. One yarn, the other plastic or rubber. In class, the percussionists will select which ones will get soft, medium, or harder mallets, so that, when we play a certain style of music, we will have the right sound matching from the percussion section!